Your companion for the whole year! 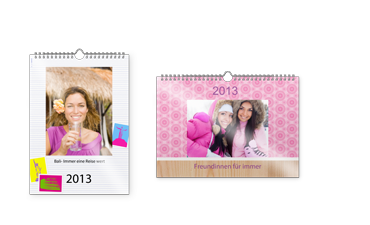 Design your own unique piece in the form of an individual photo calendar in A4 format. 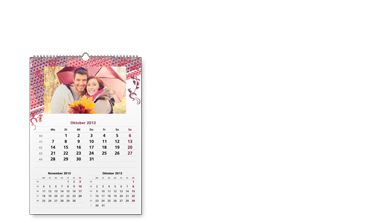 The A3 Wall Calendar in portrait or landscape format guarantees to be a real eye-catcher. 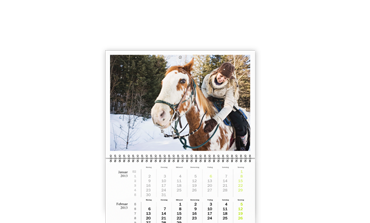 The A2 wall calendar on real photographic paper in “dot-free” professional print quality! Three months at a glance - and especially nice because your own photos are shown off! A great companion to everyday life. 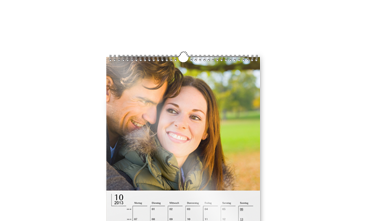 Your individually designed 3-month calendar with your photos and a stylish design is sure to attract attention. Like to plan your whole year in one go? 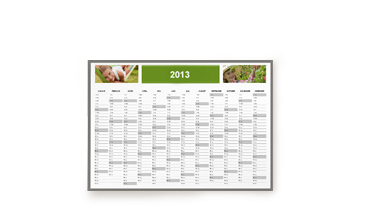 Our year planner is a great choice for a complete overview, personalised with your own photos! 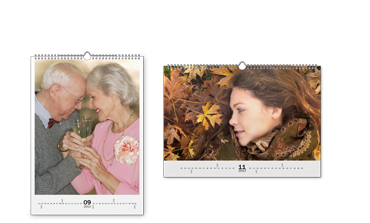 The exclusive square format makes it easy to arrange square, round, portrait or landscape pictures with our great choice of templates and backgrounds.